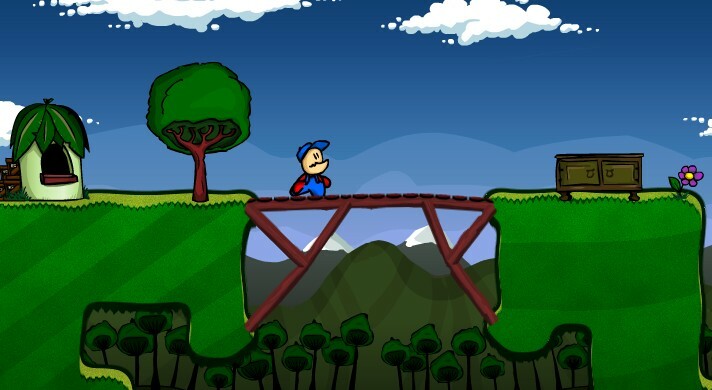 Cargo Bridge 2 is the latest sequel to the popular bridge building physics puzzle from Limex Games. This is where your construction skills will be put to test once again. Featuring more challenging levels and more building materials and different types of cargo that varies in sizes and weight. 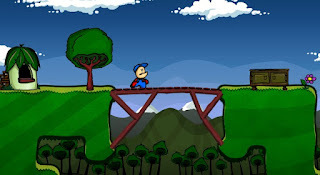 The game's mechanics is simple: the player just have to build a bridge strong enough to hold the workers and cargo that will pass on it using given materials. Trial and error has always been the player's friend. While the game is all that fun and challenging like its predecessor, one minor thing I want to add and that is the ability to re-adjust the pieces when I make a mistake so I don't have to erase it and start over. Nonetheless, it's another great puzzle and I hope to see this on the iphone and ipad. Meanwhile, here is Cargo Bridge 2 walkthrough showing the best solutions covering all levels in areas Green Hills, The Moon and The Construction Site. I study at construction university and Cargo Bridge 2 has been my favorite game for a while!